Tomorrow night I'm hosting a pumpkin-carving party, and I wanted some inspiration so I can make my pumpkin victim's proud! 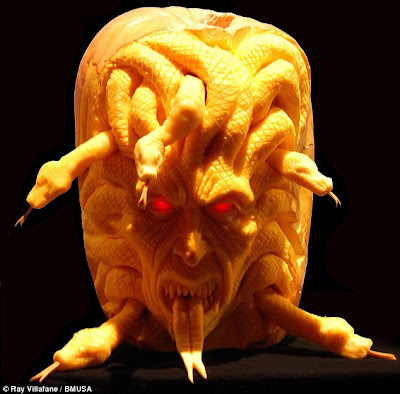 So of course I immediately thought of the legendary Ray Villafane, creator of some AMAZING pumpkin sculptures! Dang...how can I top that?! 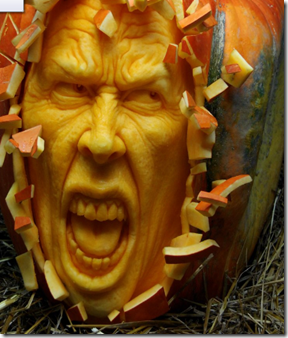 If you're into Halloween, you've no doubt already seen Ray Villafane's amazing pumpkin carving art. 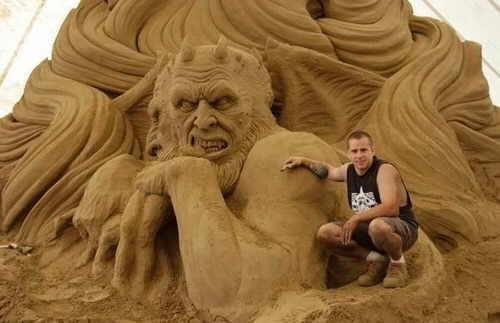 His stunning life-like creations have been featured in countless magazines, newspapers and TV shows, not to mention having graced places like the President’s Quarters in the White House and Bermuda’s Sousa’s Gardens. 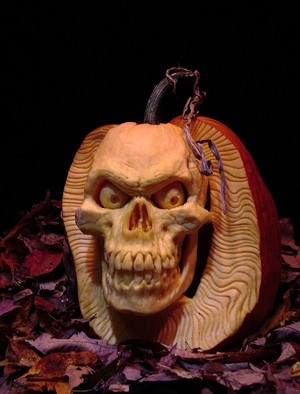 This year, Ray's Villafane Studios will even be carving pumpkins for Heidi Klum's annual Halloween bash in Vegas! 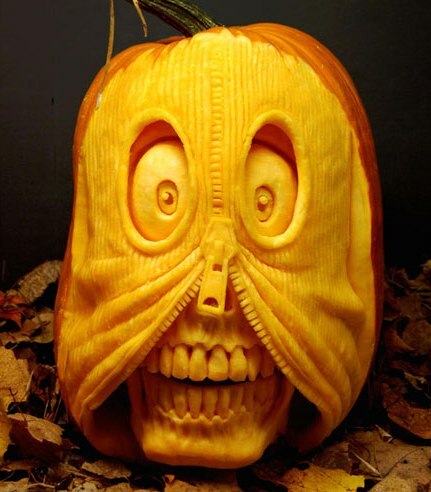 The intricacy and detail of Ray's work is simply jaw-dropping, and definitely puts my pumpkin carving skills to shame! Oh, and to blow your mind even further, Ray doesn't *just* do crazy complicated pumpkin carvings...he also sculpts using sand and also makes action figures and toys for companies! 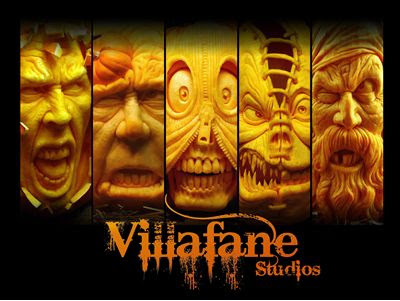 You can find out more (and check out more pumpkin art) at VillafaneStudios.com! 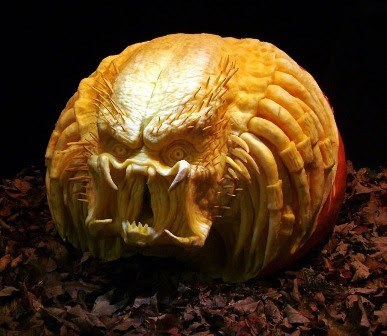 The only word I can think of to describe Villafane's pumpkin carving skills is "uncanny". He's an incredible artist.